By Mona Shields, Co-Director of ISUM International (Instituto de Superación Ministerial) for Spanish-speaking Latin America. A tall muscular Cuban pastor was sitting in front of me telling his story. 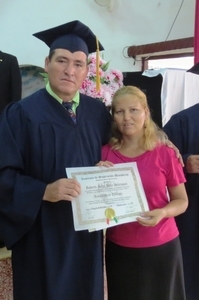 He had been my student in three different ISUM seminars and was ready to graduate. I had a size 46 sport coat that some dear friends had given us to donate to a needy pastor. I thought it might fit our ISUM chaplain. He tried it on. It was too large. He suggested another one of our students, Roberto. He said “You should see where he lives. He is so poor. I know he can use it. This past June I took a group of people from my church to do an evangelism event in his town. We took food and things to give away and did children’s ministry. And we held a campaign. He got out his camera and started to show me the clowns, the church, and the little shack Roberto lived in. “Look where his wife has to cook” he said. It was just a wooden lean-to. The sky could be seen through the boards. Later that afternoon after our ISUM classes I found Roberto. The sport coat fit him perfectly! He was just beaming. I told him it was from a dear friend, Jack Allen, a former deacon in our home church who was a real intercessor. Jack recently passed away and his son sent us a box of his clothes to give to our Cuban pastors. “This is like the mantle of Elijah for me,” Roberto said. “I can feel the blessing and prayers when I wear it.” I had opportunity to sit and talk with him during one of the mealtimes we share with the students. Rice and beans and a hard boiled egg, but they were thrilled to have three meals a day. I told Roberto I had seen such a growth in him in the past four years. He was not the best student, obviously not much of a reader or scholar. But over time his grades improved and he got a 96 on my last test. His self confidence grew. He learned how to organize. He said “ I have learned how to learn.” WOW!! What a privilege to graduate him. His wife made the LONG walk and then bus trip to come for the graduation. Our hearts swelled with pride on the verge of tears when he walked off the platform and handed his degree to his smiling wife. Once again the Lord reminded me of what it’s all about. Changing lives ONE AT A TIME. If Roberto can do it…anyone can do it. Truly awesome what the Lord is doing through your ministry with ISUM!!! I love how he recognized the value/role of his wife in getting his degree by walking off the platform and handed it to her. Mona, what an inspiring story. Roberto’s story reminds us why we teach. My heart has been deeply moved by Roberto’s story. I praise God for the opportunity to be part of a movement that reaches out to “whosoever” will and help them to become the best they can be for the glory of God. Roberto’s live will never be the same. What a story! Mona, thank you for sharing this very special testimony! 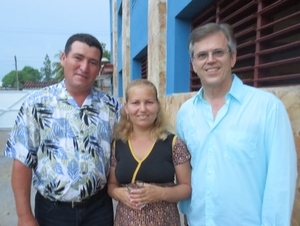 Thank the Lord for the hunger He has placed in the hearts of Cuban pastors and many others throughout Latin America and the Caribbean. A wonderful testimony of faithfulness, and a challenge to us all! Very moving, Mona, hermana mía. Teaching ISUM in Cuba is very sacrificial. 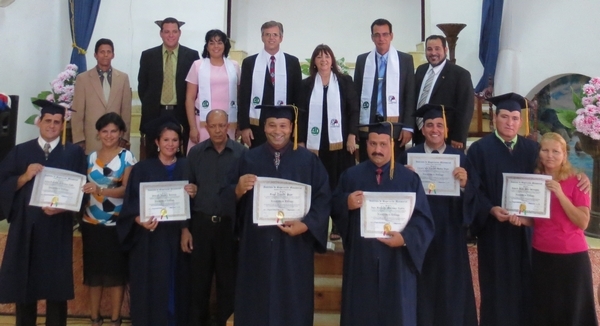 You and Mike and the team deserve honor for making it possible for pastors like Roberto to receive the tools they need to grow and develop personally and along with their congregations. Keep it up. ¡Vale la pena! Thank you for sharing this great story. Bless you guys! Wow, what an awesome testimony. I hope you don’t mind but I would like to share it with my LACC staff and students! Blessings y Fuerza.